Revelation was originally a concept brought to the UK by German super company Hohner in the 90’s. The UK’s very own Alan Entwistle was a major influence behind the circuitry, the pickups and the guitar designs at the time, often burning the midnight oil in the Hohner’s UK Custom Shop in Bedwas, South Wales in order to perfect the product. In the mid 90’s a shift of emphasis in Hohner’s global strategy resulted in the cessation of the Revelation project in order to concentrate on their world renowned harmonica and accordion products and production. At this time Hohner sold off its UK premises to Sutherland Trading Co Ltd managing director Mr Gareth Jones and as a result of this takeover, Sutherland not only took on the privilege and responsibility of the official distribution of all Hohner products for the UK and Eire, but also inherited the Revelation name. For a decade the Revelation name lie dormant until one fine spring day in May 2010. For a while previously our sales team here at Sutherland were consistently being bombarded by requests from music stores far and wide for a brand of guitars and basses to plug a certain hole in their stock portfolios, a brand that would represent both excellent quality and excellent value for money. There were other brands out there but music stores were often left disappointed by one aspect or the other. We always try to keep our ears to the ground here at Sutherland and try to support the music trade as best as we can, so after weeks of deliberating it was decided that instead of opting for the easy route by taking on a tired, same old generic brand in the distant hope that it would fulfil the need of the trade, it was time to grasp the bull by the horns and give the trade exactly what it needed, not something to just plug a gap, but something they could be proud to display in their showrooms. The only thing missing now was a name. How could we possibly go ahead with such a project without having a name? It was then by chance as Gareth and I were having our afternoon chat with regards to Sutherland operations that the issue of this guitar project was raised…and it was at this point that Gareth’s ‘revelation’, about Sutherland’s ownership of the Revelation name was made. Within minutes of this conversation the wheels were set in motion. I’d known Alan for a long time as we had worked together and crossed paths many times in the past both within and outside of the music industry and we’d inevitably become great friends over the years. As a result of this I knew all about Alan’s involvement in the original Revelation project, and I knew first hand all about his expertise in guitar pickups and circuitry as my own guitars were regularly the beneficiaries of his new concepts and ideas. Alan’s experience in guitar building, pickups and circuitry stems decades, he has worked alongside some of the biggest names in the guitar industry and as a result has an almost encyclopaedic knowledge of the electric guitar and it’s ingredients. There was only one man for Revelation and Alan Entwistle was that man. Reuniting Alan with Revelation was much akin to reuniting a father with his long lost son. Some things are just written in the stars. Like with all new projects, in the beginning we too were limited to a budget that we dared not step outside. We were faced with a decision: Do we put a percentage of the budget aside in order to create a flashy catalogue and an all singing all dancing website at the cost of downgrading the instrument quality and specifications…or do we concentrate all our efforts on what we do best and invest everything into the instrument itself, after all we are musicians and guitar fans not marketing gurus. After thinking about it long and hard (for 0.00003 seconds) we decided that if the product was good enough, the musician would do the talking for us. Based on the feedback we’ve received so far I’m delighted to announce that it seems we made the right choice. 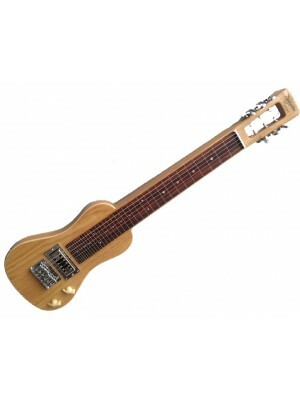 ﻿100% UK DESIGNED CELEBRATION - ENTWISTLE DESIGN© The Revelation RLS-DLX is a Deluxe Lap Steel gui..